Varanasi: Conceived by the Mahindra Group and leading performing arts entertainment company, Teamwork Arts, the third edition of the Mahindra Kabira Festival (MKF) which began on Friday culminated on Sunday with incredible music performances, conversations on Kabir’s philosophy, pithy but profound poetry and explorations through the lanes and bylanes of Varanasi. 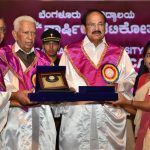 “The artistry of the singers, the wisdom of the authors, the religiosity of the city and the sacredness of the ghats have provided an incredible canvas to the 3rd edition of the MKF which has concluded with a flourish. For the Mahindra Group, this Festival has added yet another reason to Rise for Understanding, Rise for Peace and Rise for Good”, said Jay Shah, Vice President, Head – Cultural Outreach, Mahindra & Mahindra Ltd. 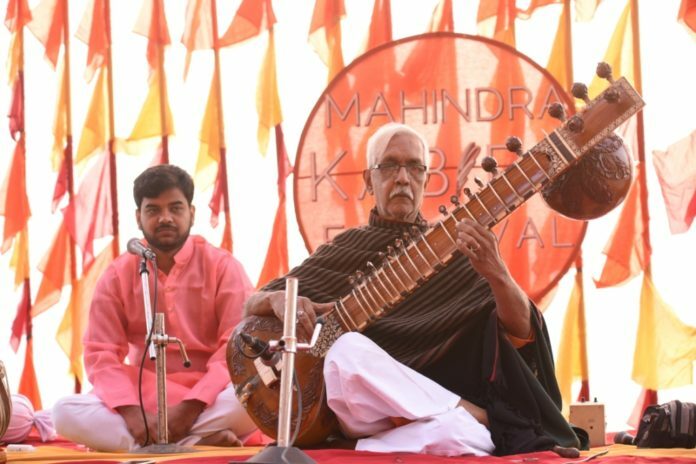 Speaking on the closing night of the Festival, Sanjoy Roy, M.D, Teamwork Arts said, “Mahindra Kabira Festival creates an opportunity to discover the wonders of Varanasi and its syncretic tradition through music, heritage, food and discussion. The Festival is as much about the superb music on offer against an unmatched backdrop as about an entire experience which takes in the sights, smells and the character of a historic city, a regal way of life, a chronicling of history and a repast of ideas”. The last day of the Festival started with Morning Music featuring renowned sitar- player PanditRabindraGoswami accompanied on the tabla by Dr. Rajnish Tiwari, on the tanpura by Divyansh Shukla and vocals by his student, Manas Raj. He performed an aalaap in ‘RaagKabirBhairav’, gat in both rupakand teen taalas well as one of Kabir’sbhajans – ‘des biranahai’. This was followed by a mesmerizing performance by Vidya Rao, a well-known singer of thumri-dadraand ghazalstyles ofgayaki. In one of the songs, she amalgamated a verse of Nanak into the poetry of Kabir, highlighting how the Sufi and Bhakti poets often paid homage to other great texts in their own verse. Vidya was accompanied on stage by Shanti Bhushan on tablaand Badlu Khan on harmonium. The day progressed with the ‘Kabir Initiation Walk’ specially curated for Mahindra Kabira Delegates, from GuleriaGhat to Kabir Math. The walk started at PanchgangaGhat close to where Kabir received his initiation from his guru Ramananda, onwards to the crumbling edifices of the KanganWali Haveli, said to have descended Jaipur kingdom of Amber, the site of the BinduVedanta temple where the Dharahara Mosque now stands and then on to an ancient temple. The Delegates journeyed through the intricate bylanes where one could see many beautifully carved temples as well as houses. 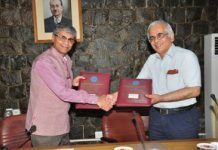 Then to Gopala Haveli and PhawarreyWali Masjid, and culminated at Kabir Math, the place where Kabir became a great teacher and his work continues to be discussed and celebrated. At Kabir Math, renowned Kabir and Bhakti scholar, Purushottam Agrawal spoke at the Afternoon Literature Session about philosophy of Kabir and how the essence of his work is especially relevant in modern times. He started the discussion with the idea that Kabir was as much human as he was mystical. He further said that Kabir’s questioning of society came from his experience of it and not from a standpoint of criticism but from a deep sense of love and a desire to make it better. He said that we must not just celebrate his work but also contemplate and question it otherwise its essence will be lost. The session set audiences thinking, making them ask Purushottam several questions on their interpretations of Kabir. As the sun set, there was a chill in the air at the riverfront, and a silvery moon appeared on a hazy sky, Evening Music began at ShivalaGhat. The evening commenced with a beautiful performance by SangeetNatakAkademi-awardee Lakha Khan, who is perhaps the greatest exponent of the Sindhi sarangi. 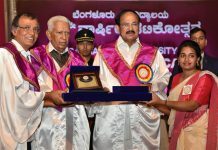 He presented a repertoire of Kabirbhajans, Meerabhajansand Sufi kalaamsfrom both classical and folk domains – ‘nathjibhayabairagi’, ‘guru bin kaunsanghi’, ‘udjaegahansakela’, and ‘jheenichadariya’, to name a few. This was followed by an awe-inspiring performance by MooralalaMarwada, a Sufi folk singer from the Janana village of the Kutch District in Gujarat. He sung the poetry of Kabir, Mirabai, Ravidas and others, in the Kaafi form of music that has evolved and been adopted by the Hindu singers of Shah Abdul Latif Bhittai. The last performance of the evening was by renowned Indian classical vocalist Kaushiki Chakraborty, who mesmerized audiences by her soulful singing. She sang several of Kabir’s couplets in her powerful, haunting voice – ‘jal me kumbh, kumbh me jal jai’, ‘mokokahandhunde re bande’, ‘subhanterikudratkokurban’, to name a few. As the curtains drew on the third edition of the Mahindra Kabira Festival, attendees were left entranced by the sheer and intense sensual, spiritual and intellectual journey they had undertaken for over 2 days.